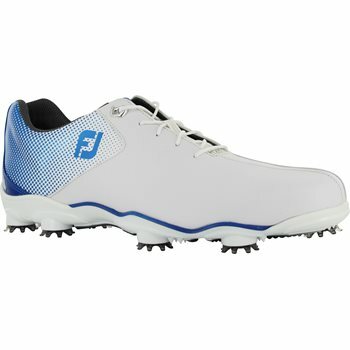 The FootJoy D.N.A. Helix golf shoe features ChromoSkin leather by Pittards and a new NotroThin 3.0 TPU outsole. The D.N.A. Helix offers extreme comfort with a new TourSpec stretch tongue that shapes to the foot, a new 3D FoamCollar 2.0 that molds to the ankle and an extra thick FTF (Fine Tuned Foam) FitBed that offers heel support. 2 year waterproof warranty. While most golf footwear companies are opting to make shoes that you can wear to pick up a gallon of milk on your way home from the course, FootJoy is more about keeping your golf shoes in the shoe bag after your round. They recently introduced the new FootJoy Helix, a shoe that provides great looks, comfort, and most of all, functionality. In developing the new D.N.A. Helix, FootJoy relied on feedback from their touring PGA professionals, who suggested a shoe with more stability. The D.N.A. 2.0 shoe, they felt, was letting their heel roll too much. The Helix is based around the 2.0. The company’s goal was to make a more comfortable and stable shoe, while maintaining a high level of flexibility. Since width equals stability, FootJoy made the Helix a little wider and lighter than past models. The heel cleats were spaced further apart and a foam collar was added to help hold your foot in place. FootJoy has incorporated a more athletic design into the Helix. The new TourSpec Stretch Tongue has been recreated with a more padding at the top, which stretches the entire width of the tongue. A strip of stretchy nylon has been added just below the padding to eliminate slippage and stop the tongue from moving around during play. The top lace hole eyelet has been reinforced with plastic to eliminate stretching and tearing when you tighten them on your feet. It also prevents the laces from slipping and loosening a bit. The outsole has also been reengineered. The new NitroThin 3.0 TPU outsole features a wider heel area and is 7% lighter than that of the D.N.A. 2.0. Fine Tuned Foam (FTF) has been replace by EVA, which is even lighter still, meaning more can be used while keeping the weight the same; more foam means more comfort. You can feel the additional material when you walk and it works well with Softspike’s Pulsar spikes, which helps to achieve the low profile FootJoy was looking for. One of the features that set the D.N.A shoe apart from a lot of other performance golf footwear on the market was the remarkably comfortable heel. That has not been lost on the Helix as it has retained the 3D FoamCollar that molds to the ankle for unrivaled support, and works in concert with the tongue, providing excellent comfort and grip. In fact, with the wider cleat arrangement, the heel of the Helix is more flexible than previous models. A slight modification has been made to the last. The new LoPro 2 last has a fuller rounded toe character, a slightly shallower forefoot and a slightly narrow heel. The instep has remained a standard size. FootJoy continues to use the same high quality ChromoSkin™ leather in the upper. Developed by Pittards® of England, ChromoSkin is supple, lightweight and durable; it’s also 100% waterproof. FootJoy puts a two-year waterproof warranty on the Helix in the US. The Helix is also available in a BOA model, which has been totally revamped for this shoe. BOA’s new IP1 dial not only tightens the shoe when turned clockwise, it also allows you to loosen them a little with a counterclockwise motion. 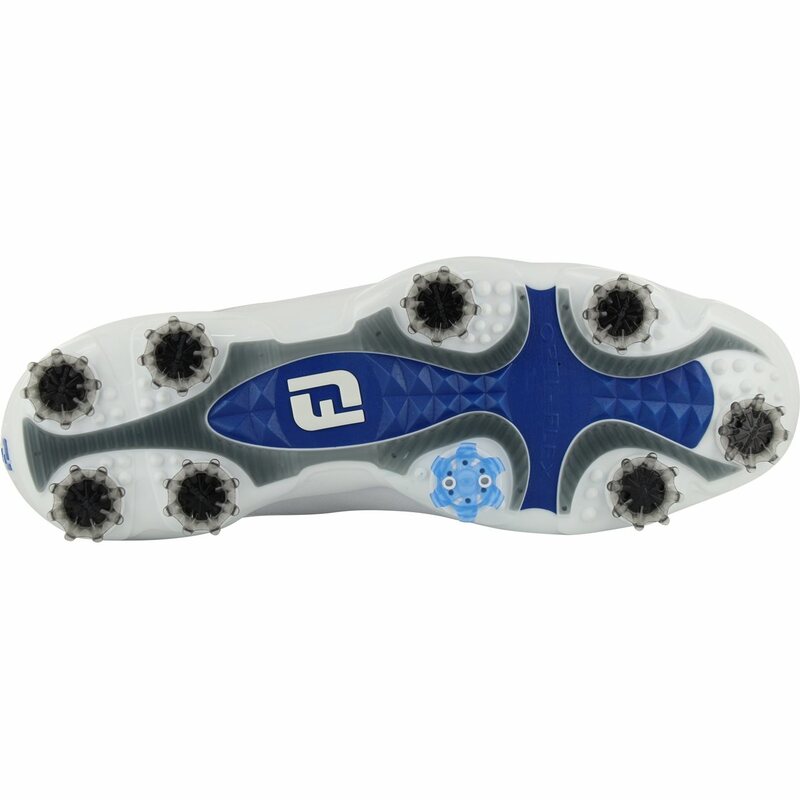 FootJoy and BOA engineers also worked together to create a “down and back” fit, whereby the wire wraps around the back of the foot, pulling it into the heel. By encompassing both the forefoot and the heel, the BOA system is much more stable. The BOA is currently available in a cool black/white color combo. The initial colorways for the Helix are black, white/silver and red/white/blue. Other color options are planned for early 2018; however, I’m sure they’ll show up on the feet of your favorite players long before then. Retail price on the website and at major golf retailers is $210; $230 with the BOA closure system. 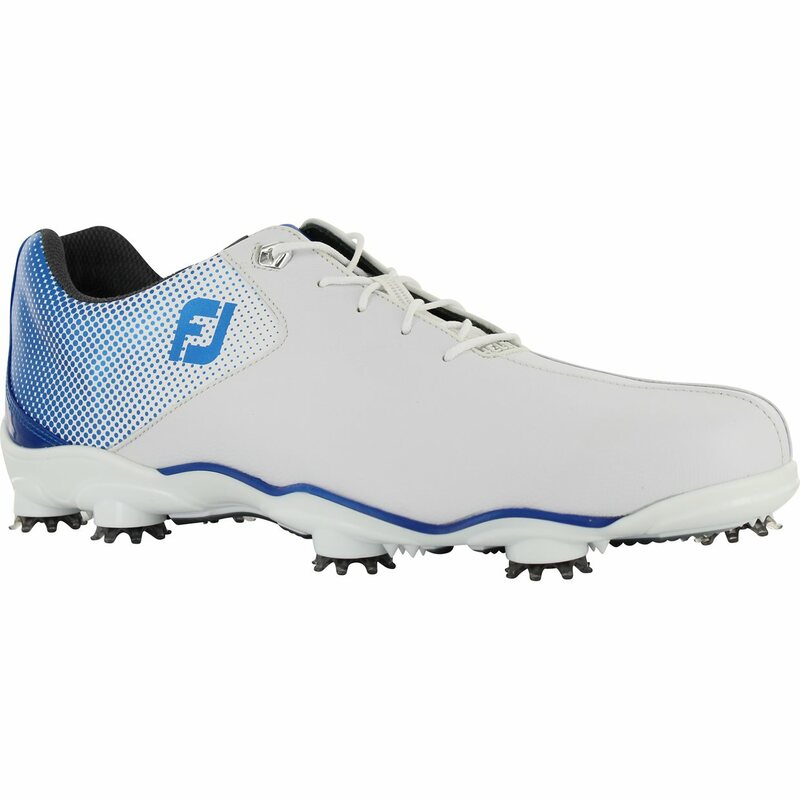 All things considered, FootJoy claims that the Helix is 38% more of a structured shoe than the D.N.A. 2.0 and on a comfort level with the spikeless Pro SL. By providing improved stability and added comfort, I would say that the Helix has successfully fulfilled its goals.